The best beaches in Costa del Sol Spain are waiting for you with blue and golden arms wide open! 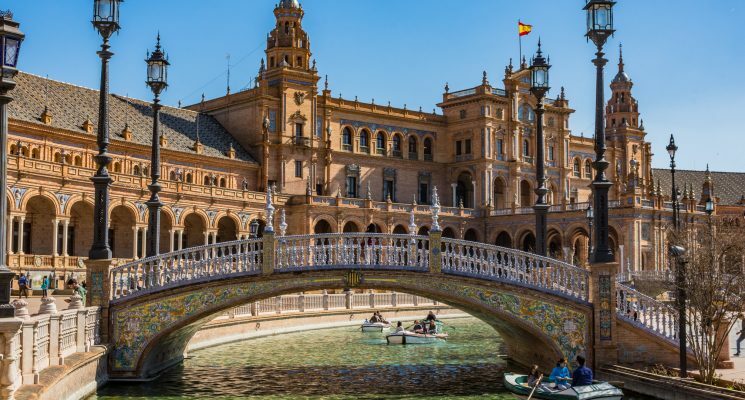 In the southern part of Spain, in the amazing region called Andalusia, you’ll find Costa del Sol, or “Coast of the Sun” one of the most popular beach destinations in Europe, and maybe the world. With a total of 126 beaches, you won’t need to venture far to find one that meets your beach-going needs. 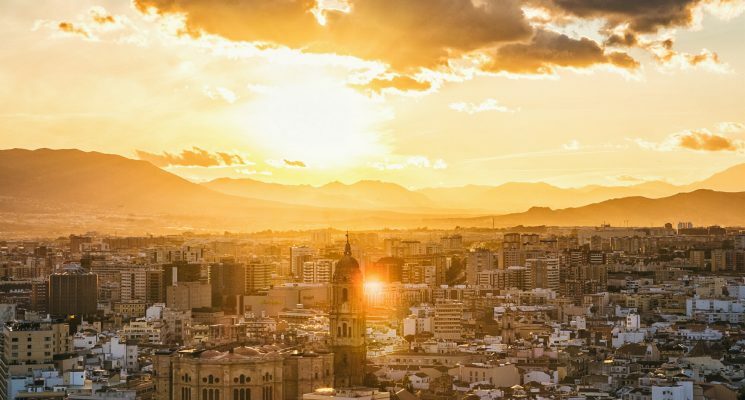 Whether you want to spend all day laying in the sun or all night club-hopping (we suggest both), there’s no reason to spend your European beach holiday anywhere else because Costa Del Sol really does have it all. 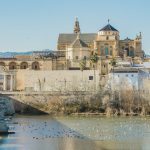 We’ve traveled Andalusia extensively and have a bit of a love affair with this region of Spain. 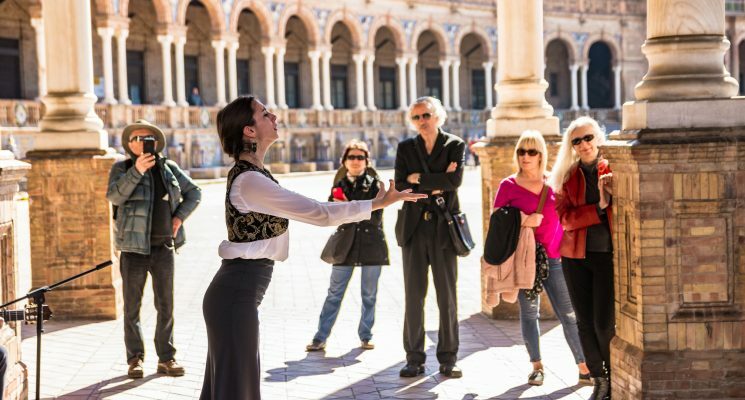 From Moorish palaces built on top of mountains to the golden shores of the coast, Andalusia offers visitors weeks and weeks of exploration. 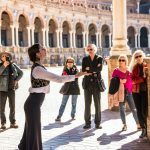 If you’re interested in other areas in the Andalusian region, check out our articles on Things to Do in Seville and Things to Do in Malaga. These are good jumping off points for the entire region. 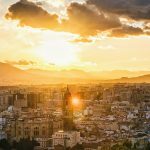 Are you guys visiting Spain, Andalusia, or the Malaga province on a budget? 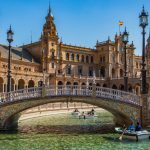 Here’s a list of popular hostels to stay at in Malaga, the best hostels in Barcelona, and places to stay in Seville, one of our most very favorite cities in all of Europe. With that out of the way lets get down to the beaches! 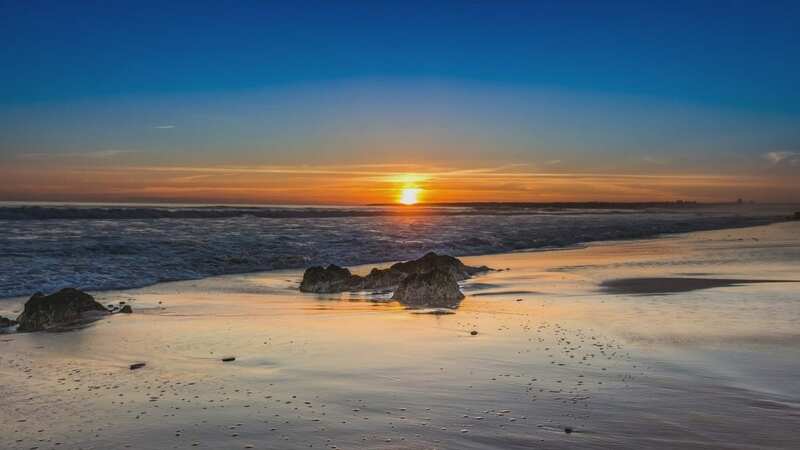 If you find the number of beach destinations in Andalusia overwhelming, don’t worry, we’ve compiled our picks for the best beaches in Costa del Sol. Bring sunscreen and remember to always pick up your trash and waste when leaving! A few kilometers outside of Nerja, you’ll find the secluded Maro Beach hidden under cliffs and surrounded by lush vegetation. Before you walk down the steep path towards the beach, stop by the historic Moorish watchtower to catch a sneak peak of the sparkling waters and secret coves that await you. The 500-meter strip of dense sandy coast is preserved, which means fishing is illegal. The abundance of marine and coral life also make this a great spot for scuba diving and snorkeling enthusiasts. It’s important to note that there are no cafes or restaurants on this beach, aside from a chiringuito (beach bar) selling drinks and tapas. So if you’re planning to spend the day, come prepared with a packed lunch and plenty of water. While you won’t be able to find any hotels adjacent to Maro Beach, Hotel Playamaro is only a couple of kilometers away. To get to the beach, you can walk about 20 minutes down the rural road or drive 5 minutes and find parking nearby. With hotel prices starting at around $63 a night, it’s a great budget option if you’re looking for only the basic amenities. Click here for the best rates! At the eastern end of the rocky coastline is the beautiful resort town of Nerja, known for its whitewashed Moorish architecture and wide array of attractive beaches. Burriana Beach is the most popular among locals and tourists; it stretches over an 800-meter strip of golden sand and offers an endless amount of sports activities to choose from, everything from beach volleyball to jet ski rentals. 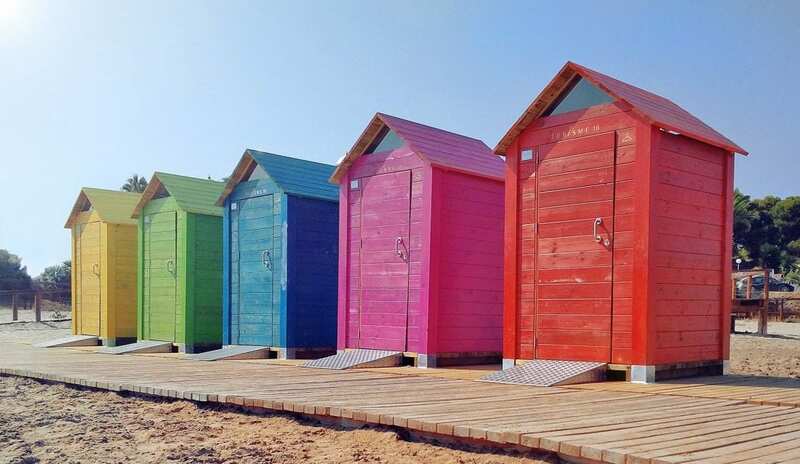 Lifeguards are on duty during the high-season (mid-June to mid-September), and the beach offers toilet and shower facilities, and sunbed rentals. After a day of sunbathing and jet skiing, follow your nose to the beach’s bordering promenade where you’ll find a row of Spanish and international restaurants with terrace seating, some serving barbecue. There are also plenty of vibrant bars and fun souvenir shops to check out if you’re too full of paella to hop back in the water. Only 400 meters from Burriana Beach, Villa Flamenca is a chic hotel offering a selection of rooms with free Wi-Fi, flat-screen TVs and minibars; most have balconies with views of the outdoor pool or mountain backdrop. For a surcharge, you can also access the fitness center and sauna facilities. El Faro Beach may not be the biggest beach in Marbella, but its central spot by the marina definitely makes it one of the busiest. Still, don’t let the crowds keep you away- there is so much to do and eat along the lively promenade. 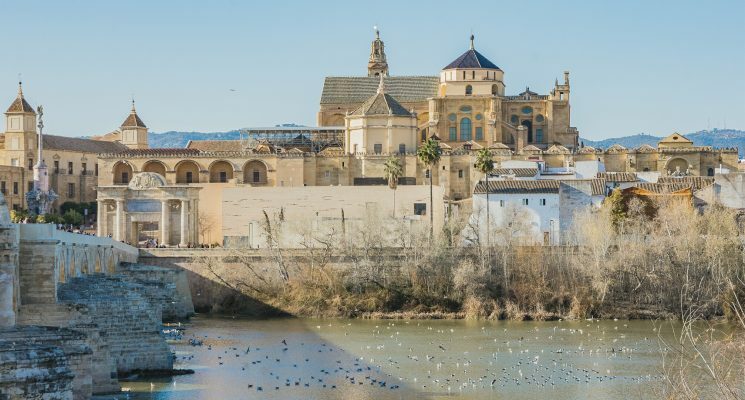 High-end shopping, ice cream parlors, and seafront restaurants selling Andalucían tapas, are just a few options. On the beach, you’ll find the full range of necessary amenities, everything from umbrella and sun-bed rentals to public toilets and showers. Five minute walk to the beach? Sold. But really, El Faro Hotel offers everything you’d expect from a mid-range apartment hotel. 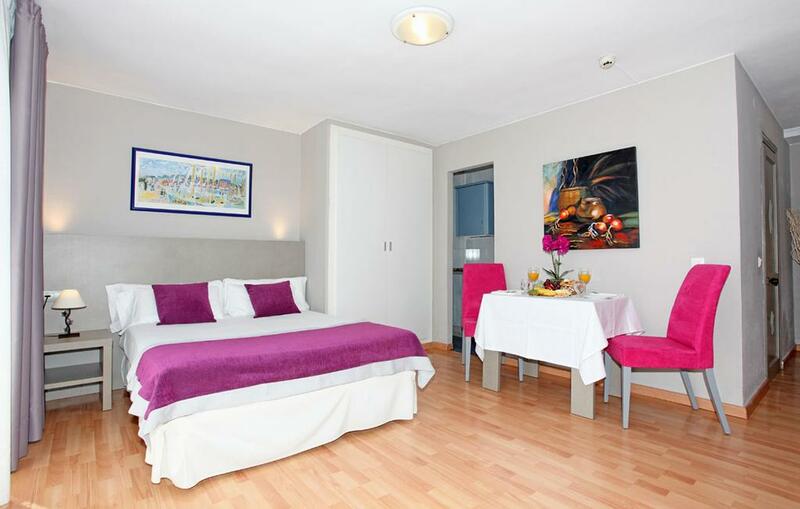 Bright studios and units with kitchenettes, free Wi-Fi and living areas. Some also feature balconies with beautiful sea views. Prices range from $50 a night during the off-season to $160 a night in peak summer months. If you’re searching for a family-friendly beach, Carvajal Beach has plenty to offer beach-goers of all ages. Kids will absolutely love the sandy play area with a giant bouncy castle, as well as the water playground in the sea. During high season, parents can relax as the sea is monitored by on-duty lifeguards. You can find chiringuitos playing live music and renting out colorful sun umbrellas and loungers. Public showers and toilets are also available. Getting to Carvajal Beach is easy. 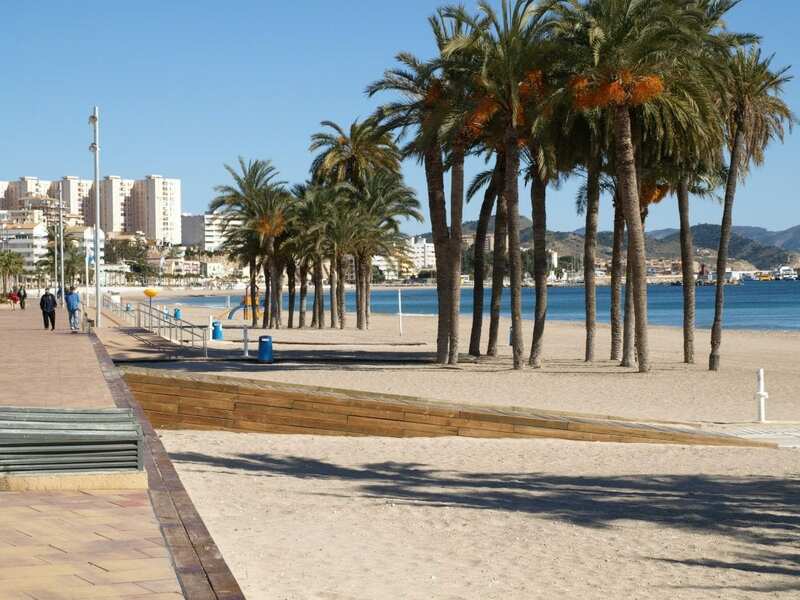 You can take the train on the Fuengirola–Málaga line to the Carvajal station opposite the beach. 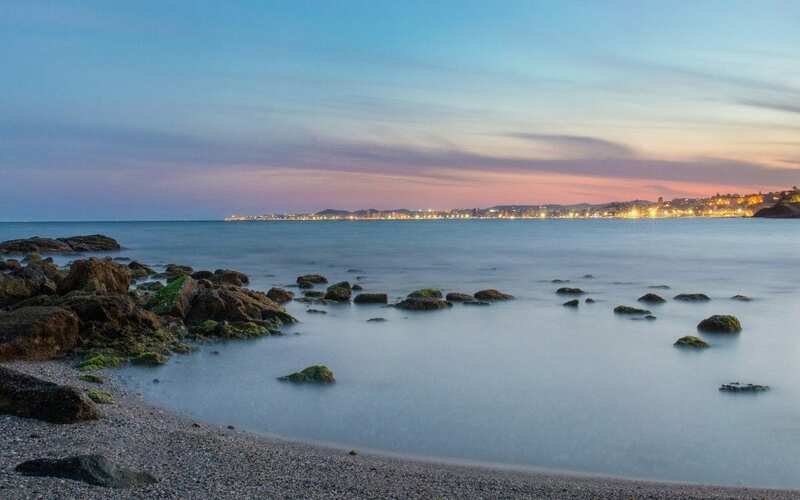 It’s important to know that Carvajal is one of the busier beaches along the Costa Del Sol. Fortunately, there are a number of cafes and restaurants to explore nearby if you want to escape the crowds. 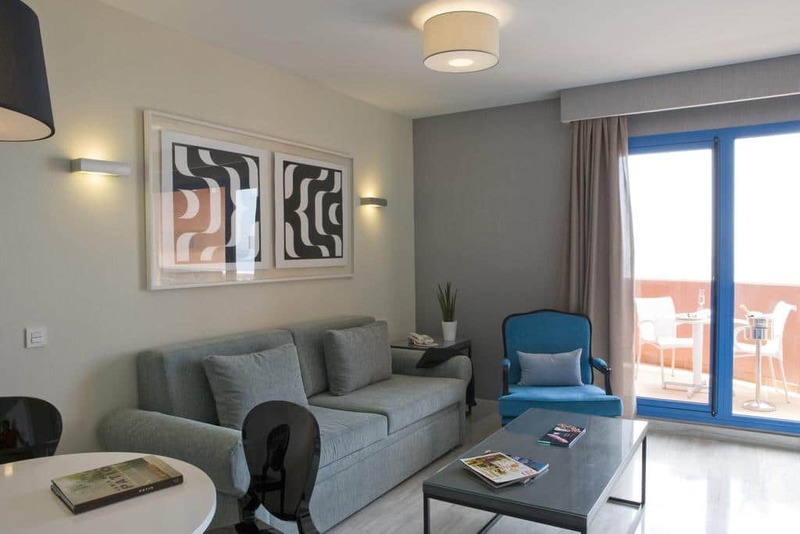 Less than a 10-minute walk from Carvajal Beach, Apartamentos Fuengirola Playa is a popular option for self-catering guests. Their apartments are clean and spacious, with kitchens and dining areas. You can rent bikes from the hotel or lay out by their outdoor pool. If peace and tranquility is what you have in mind for your holiday, La Viborilla, near the town of Benalmádena, is where you’ll find it. Surrounded by palm trees and woodlands, this hidden beach of sandy stone will feel like your own secluded lagoon. 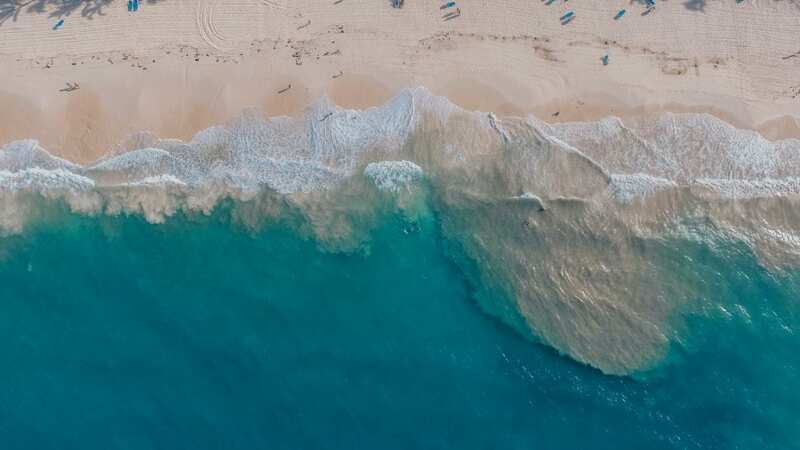 Despite its Tom Hanks in Castaway vibes, La Viborilla has all of the basic amenities, including a casual beachfront restaurant serving up regional cuisine and gorgeous sunset views. If adventure is what you’re feeling, wander away from the beach and explore the majestic coves hidden within the cliffs. About four km away from La Viborilla is Holiday Hydros Boutique Spa & Wellness Hotel. Aside from the stylish suites with sea views, there are upscale amenities like a gym, bowling alley, and full-service spa with an indoor pool. Dine on delicious and fresh Mediterranean cuisine at the Mar y Tierra Restaurant. From the hotel, the best way to reach the beach is by car. With its thin strip of sand and shallow waters, El Cristo beach is very child-friendly and a popular destination for families. 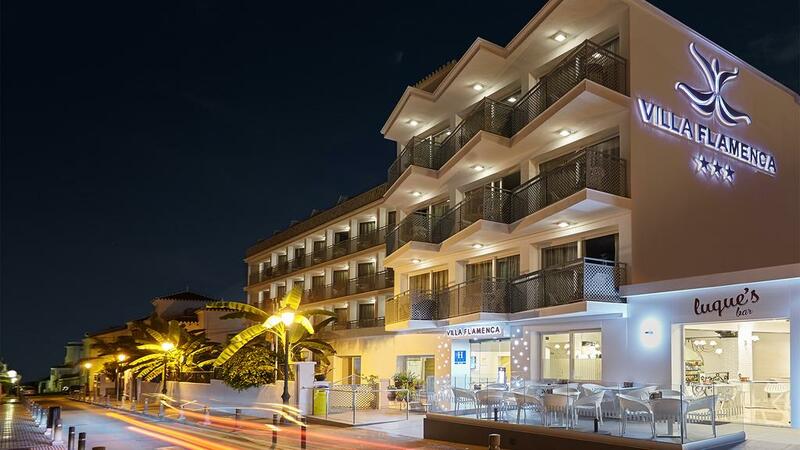 It’s located west of the resort town of Estepona, right near the marina. One of the best features of the beach are the two chiringuitos selling snacks and fresh fish. They also rent out umbrellas and loungers. 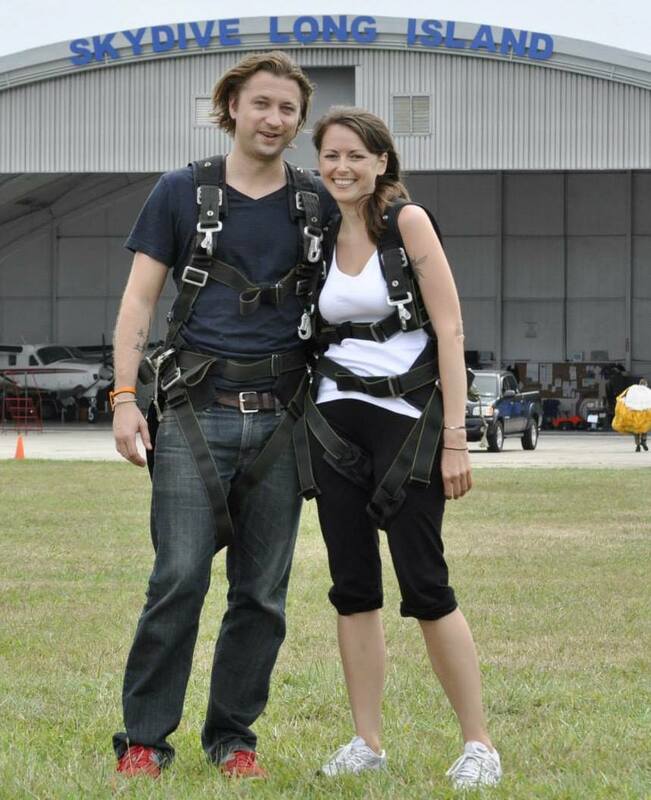 Other amenities include a playground as well as bathroom and shower facilities. 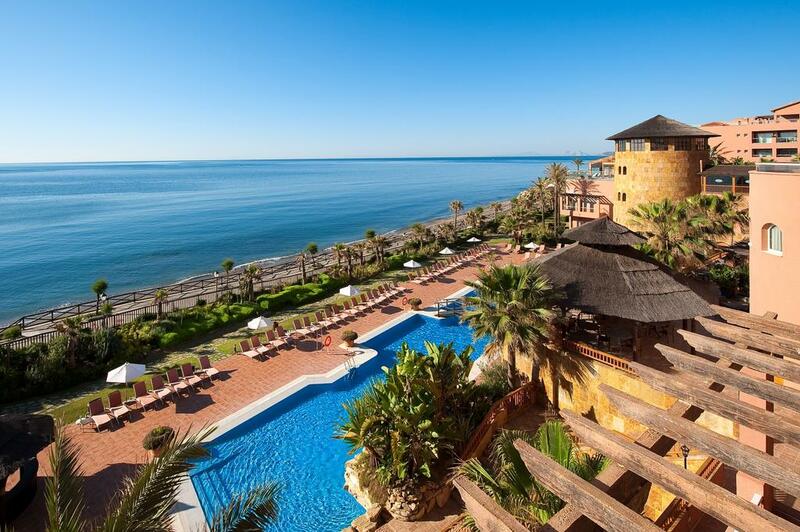 If you prefer the finer things when on vacation, consider booking a room at Elba Estepona Gran Hotel & Thalasso Spa, a popular five-star luxury all-inclusive. Dine at one of their three themed restaurants or schedule a pampering massage treatment at the serene day spa. From the hotel, you can travel three km by car or walk about a half hour to reach Cristo Beach. So there you have it guys, the best beaches in Costa del Sol, Spain. Hopefully you’ll be digging your toes into the sand sometime soon! As always, happy travels and we’ll see you on the road!